Your dream of country living comes true only ten minutes from the south perimeter. 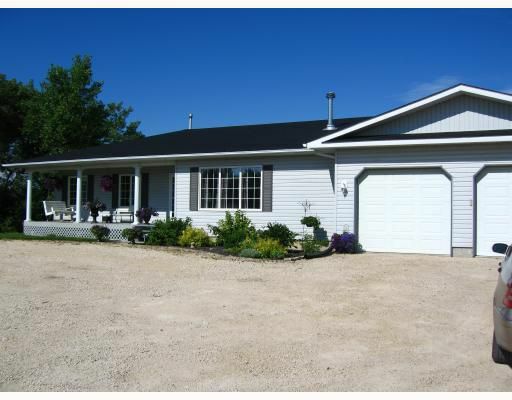 This beautiful 1800 square foot bungalow with 2 car attached garage built in 1998 is calling your name. Home sits on 5 acres of beautiful landscaping with a remaining 75 acres rented out paying the property taxes and more. Enjoy summer from the front porch, rear deck or 3 season attached sunroom. Featuring large kitchen, with huge pantry, adjacent to dining room. Large windows in designer living room overlook gigantic front yard. Master bedroom has very large walk-in closet and 3 piece ensuite. Home is built on piles above '97 flood requirements and is on a major school bus route so it's one of the first to be plowed in winter.